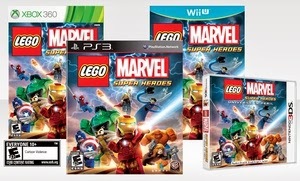 Groupon has LEGO Marvel Super Heroes for multiple platforms starting at $22.99–$44.99 Exp 1/30. Shipping is FREE. Check out more of our favorite Groupon deals.